Having well maintained trees and shrubs helps add beauty and value to a property, but there are times when it becomes necessary to remove one or more trees from the premise. Many circumstances could lead West Linn residents to consider tree removal services. 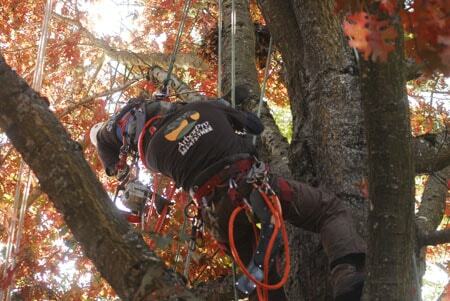 What ever the reason may be, ArborPro Tree Experts have the experience, knowledge and equipment to provide the best possible tree removal service. In addition to tree removal, ArborPro Tree Experts also provides the residents of West Linn with exceptional tree trimming services. Tree trimming is necessary if you want your trees to grow healthier and stronger. By allowing unchecked growth, the strength of the branches may become compromised. This can lead to improper growth, lack of fruits, an untidy appearance and ultimately, safety issues. The tree trimming service by our skilled and certified arborists will maintain the health of your trees,make a vast improvement on limb growth while helping your trees look their best. ArborPro Tree Experts is committed to the highest standards of safety while allowing the work to be done in the shortest possible time. ArborPro Tree Experts uses hi-tech machinery and state of the art equipment to carry out tree removal and all other tree services. By hiring ArborPro Tree Experts to handle any tree care needs, customers not only get high quality workmanship, but expert advice for proper maintenance of their West Linn trees. West Linn residents can give us a call at 503-473-8733 and ask about our tree trimming service or tree removal service and rest assured that ArborPro Tree Experts have you and your property covered!